This year my Thanksgiving was really low key. 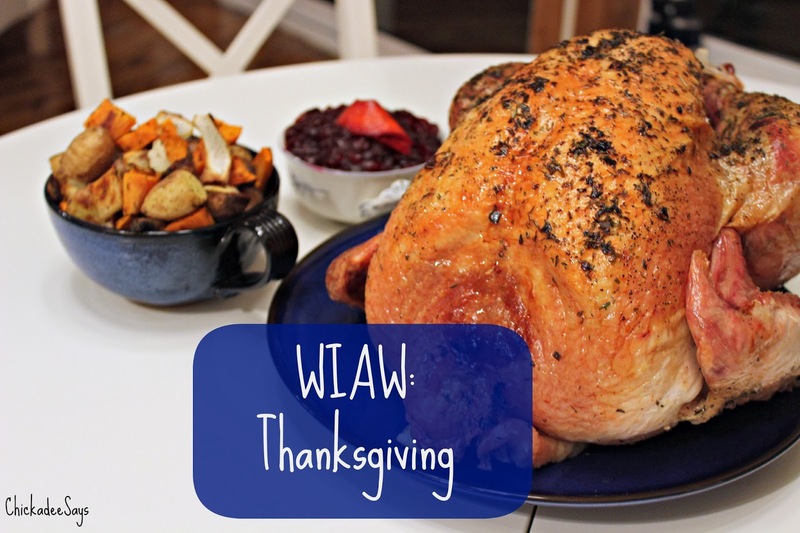 However, that doesn’t mean we skimped on food- thus a short but delicious What I Ate Wednesday: Thanksgiving edition! I knew I was going to be cooking all day so I made sure that I had something with protein in the morning to keep me full. I tend to be a ‘taster,’ so much so that some of the recipes that have been passed onto me have little notes like ‘DON’T EAT ALL THE RAW APPLES’ (yes, in caps) right along side the list of ingredients. 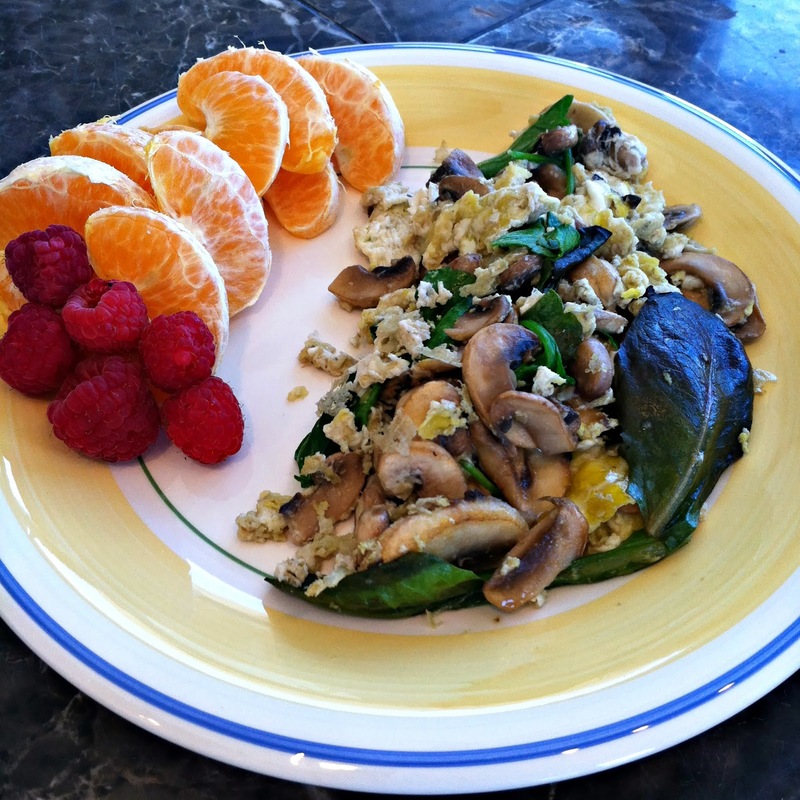 Two eggs scrambled with mixed greens, mushrooms, a side of fruit, and two mugs of tea (not pictured) kept me feeling great until it was time to indulge! For a bit of “lunch” while cooking it is a tradition in our family to whip up a batch of artichoke dip served with freshly baked bread popped out of fun molds. The recipe is so rich that I rarely serve the decadent treat, but there is no better time for fun treats than a foodie’s holiday! For the main event, Thanksgiving was rather traditional. A fresh, organic turkey roasted to perfection sprinkled with spices, herbs, and stuffed with veggies was our shining star. 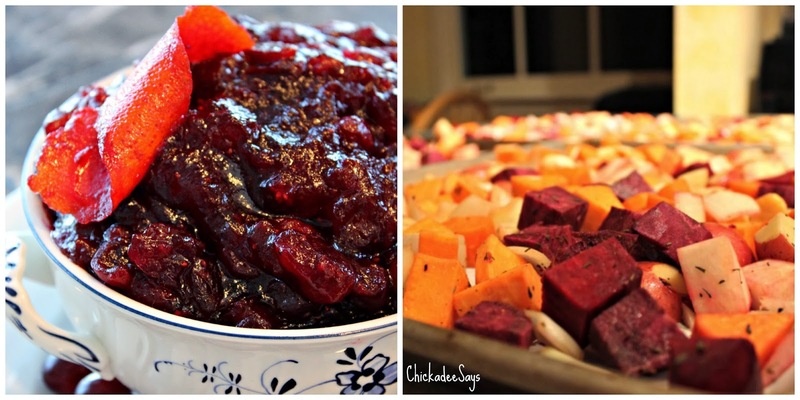 Three Ingredient Homemade Cranberry Sauce (Check out the recipe post! ), stuffing, and Roasted Root Veggies rounded out the delicious meal. And finally, Thanksgiving is not complete without pie (and lots of it!) 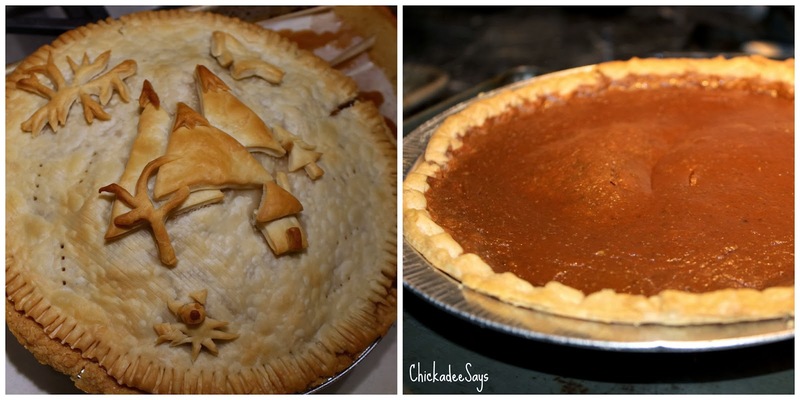 A deep dish pumpkin pie and a family recipe apple pie- complete with mountain scenery decorations crafted out of left over pie crust (and yes, that was my attempt to include Tink on the pie- Fail)- could satisfy anyone’s sweet tooth! Of course these were consumed hours after the regular meal because, quite frankly, it is rather difficult to not overeat on Thanksgiving! What was your favorite dish this Thanksgiving? Let me know in the comments below!